Our judges will be making their first visit on Friday 12 April and will return in July for the summer judging. This year the Blyth entry was judged by Marjorie Holt, Janet Beakes and Colin Jubb. Unfortunately, Colin wasn’t able to attend for the July judging but had visited all the areas in April and contributed to the Spring judging comments. This year we were happy to receive a Silver Gilt overall for Blyth. Click here to view the 2018 Portfolio. 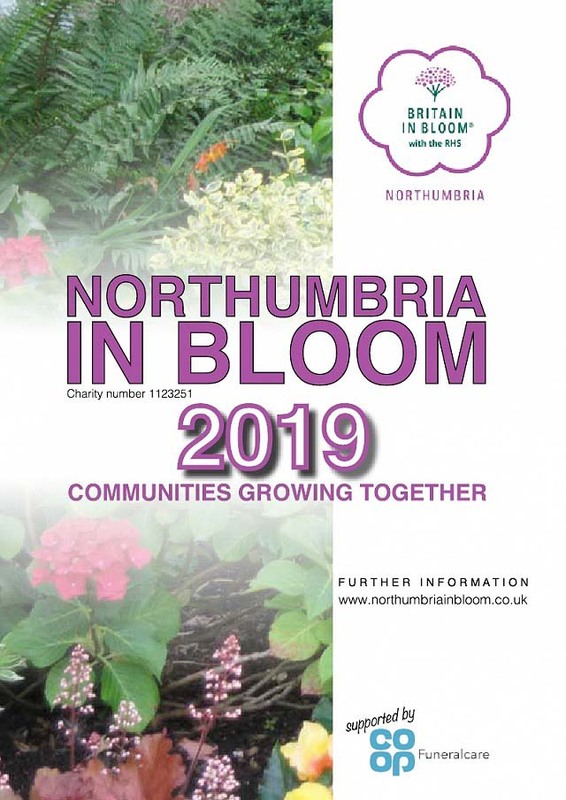 Click here to visit the Northumbria in Bloom website. If you would like to get involved please contact Alison at the Blyth Town Council office. St Cuthbert’s Court (Residential Communities, eg cul-de-sac, street). St Cuthbert’s Church ‘Holy Weeds’ are still playing a huge part in our ‘Bloom’ efforts and improving the community but have not been entered for a special award this year following their Gold achievement last year. This year they are entered for the RHS It’s Your Neighbourhood award. This award is for volunteer community groups who are greening their local environment. This is the first time we’ve had a group in for the award and we wish them every success. Click Here to visit the Northumbria in Bloom website and find out more. Ridley Park - Gold and outright winner of the Parks category. Our entry for the Private Garden, Louise Tweedy of Albatross Way was awarded Gold. Overall for the Town we were again awarded a Silver. Click here to view the 2017 Portfolio. Following the many positive comments that we received from residents and visitors to Blyth, it was agreed to extend the bulb and wildflower planting for 2017. Bulb planting is concentrated on the Broadway Circle area - on the roundabout itself and the surrounding verges where new trees were planted in 2015 and 5 trees planted in 2016. The wildflower planting will now extend along South Newsham Road and further along Rotary Way towards Broadway. This will also be continued on parts of Renwick Road, Cowpen Road and Asda entrance. As part of National Tree Week (28 November - 2 December 2016) a total of 40 trees were planted by Northumberland County Council and the Town Council. These were planted in Ridley Park, at Broadway and South Newsham/Rotary Way. In January 35 fruit trees will be planted in Ridley Park as part of a foraging trail that will continue on South Newsham Road. A native shelter belt will also be created in the park consisting of 300 trees which will be planted along the fence between the park and the harbour. This year the awards were held on 14 September 2016 at the Lancastrian Suite, Gateshead and were presented by Darren Share MBE, Head of Parks for Birmingham City Council and National Judge. St Cuthbert’s Church ‘Holy Weeds’ were awarded a Gold - a well-deserved improvement on last year’s Silver. Roy Hugman and Alan Hall represented the ‘Weeds’ this year. Tynedale House represented by Linda Starkey and Dawn Gillie were awarded a Gold for their Sensory Garden. An amazing achievement for this first-time entry to the competition. Ridley Park again achieved Gold standard and was joint winner of the category with Castle Vale Park in Berwick. Well done to all the Team. Jimmy Reith was nominated by the Town Council for an award in the category Outstanding Contribution (salaried). Thank you Jimmy for all your hard work, advice, support and ideas! Mr Rickleton of Guillemot Close was entered in the Private Gardens category and received a Silver award. Well done, congratulations and thank you to everyone who took part! We were disappointed to receive an overall award of Silver for Blyth this year, especially with all of the extra work that has been done in many areas. However, although Northumbria in Bloom is not just about horticultural achievement, we have been heartened by the many positive comments that we’ve received over the past months from residents and visitors - particularly about the wildflower and bulb planting and the carpet bedding for the Tall Ships Event. We’ll be working even harder in the coming months to improve our environment and our entry to the competition. Plans are already underway to extend the wildflower planting which has proved so popular this year. If you’d like to get involved with our Bloom efforts please contact Alison at the Town Council office. 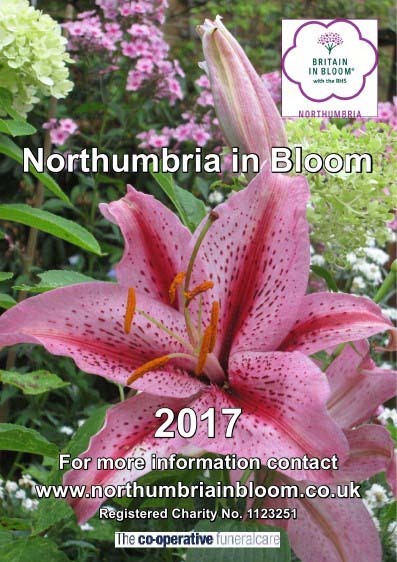 Click Here to view the Northumbria In Bloom 2016 portfolio. Once again Blyth Town Council has entered Northumbria in Bloom and we’re happy to welcome some new participants joining us. Young people from Silx Teen Bar in the Town Centre are going to ‘adopt’ two new planters that will be placed beside the Submariners’ War Memorial in Elfin Walk. We’ll be holding a planting day in May with Jimmy Reith, Northumberland County Council, and then the group from Silx will look after the planters. Trevor Gyllenspetz, Manager of the Keel Row Shopping Centre is keen to be involved and we (hopefully) will have some volunteers to plant up hanging baskets for the Centre - date to be arranged. The ‘Holy Weeds’ at St Cuthbert’s Church are continuing with their hard work and are inviting people to join them - they will be holding a planting day in May which will be advertised shortly. Click Here to see what they’ve been up to. The Partnership is still working to improve the environment in Blyth and there are new planting schemes underway across the Town as well as in Ridley Park which received a Gold award last year as well as being overall winner in the parks category. The Market Place planters will be replanted in May for the summer. We’ve taken a radical approach to the Sensory Garden (see previous portfolios below) and have removed the old soil and refilled with new topsoil. It has been replanted with a mixture of existing and new plants appropriate for a sensory garden. We have plans for more improvements which will be started soon. We are always happy to welcome volunteers so if you’d like to get involved and get your gardening gloves out please get in touch with Alison at Blyth Town Council. This year the Northumbria in Bloom award presentations were held on Tuesday 15 September 2015 in Berwick upon Tweed and were presented by Sir Alan Beith. Blyth, in the category of Large Town, again received a Silver Gilt award, narrowly missing out on a Gold. Ridley Park received a Gold award and was the overall winner of the Parks category - special congratulations to Jimmy Reith, Senior Team Leader, Neighbourhood Services and the Team who work on the Park. Newsham and New Delaval Miner’s Welfare Park was awarded a Silver. Peter and Mary Henderson of the Friends of the Park attended the presentation on this first time entry in the Parks category. St Cuthbert’s Church ‘Holy Weeds’ volunteers received a Silver award in the Religious Establishments category. 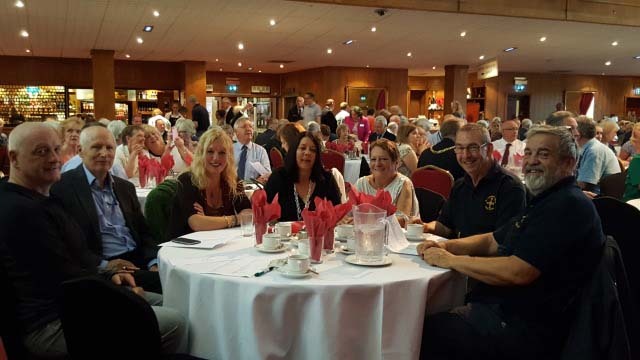 The group were represented at the event by Neville Craggs and Alan Hall. Delaval Gardens Allotments were awarded a Gold. This is the first time we have entered one of the allotment sites and it is a fantastic acknowledgement of the work and achievement of these long-time allotment holders. Mr J Gorman of Broadway was entered in the Private Gardens category and received a Silver award. Congratulations and thank you to everyone who took park in the Town Council’s entry for Northumbria in Bloom 2015.